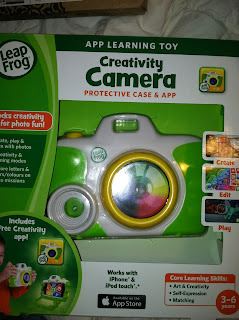 We were thrilled to receive two new LeapFrog App Learning Toys to review from MomSelect. With three kids, it is hard to NOT allow the youngest to play with digital items when her older brother and sister are playing with them all the time. My oldest is receiving a tablet for Christmas. The oldest two also have Ipod touches, but I have been hesitant to buy the youngest one as there did not seem to be a lot available for someone that young. We love these LeapFrog App Learning Toys. The Learn to Write with Mr. Pencil™ Stylus & Writing App is a toy and an app in one! The large pencil works as a stylus for an iPhone, iPad, or iPod touch! My 3 year old had such a blast writing with it! It was the perfect size for her small hands! The Creativity Camera Protective Case & App turns YOUR iPhone or Ipod touch into a CAMERA! My daughter LOVED this because she loves taking pictures! It is a really fun item and it brought her hours of fun! To insert your iPhone or your iPod touch, you simply unlock the back and insert your device. It was really simple, and I felt my phone was well protected in the camera! 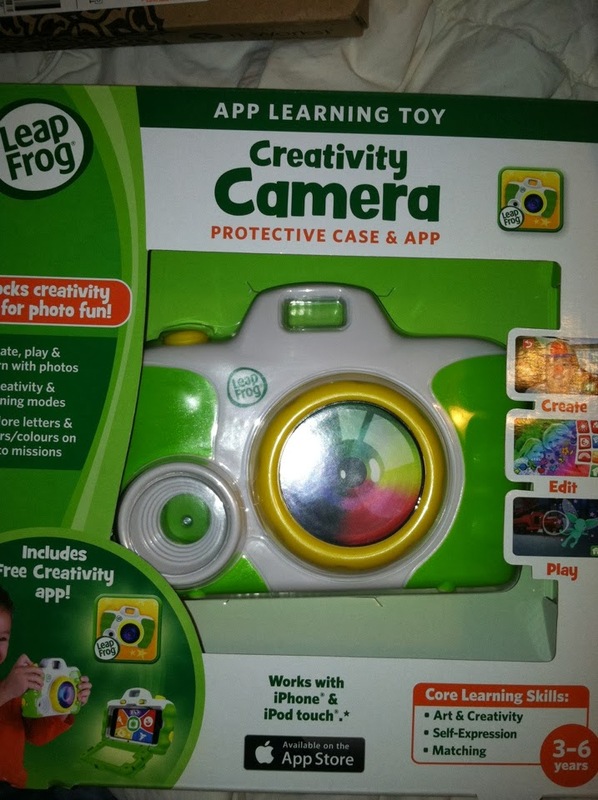 We love that LeapFrog is introducing ways that younger kids can play with new digital devices through LeapFrog App Toys! The apps were easy to download and use, and all of the kids had a blast playing with them! MamaBreak received item(s) to review here on the website. We did not receive any other type of compensation. As always, our experiences and opinions are our own.